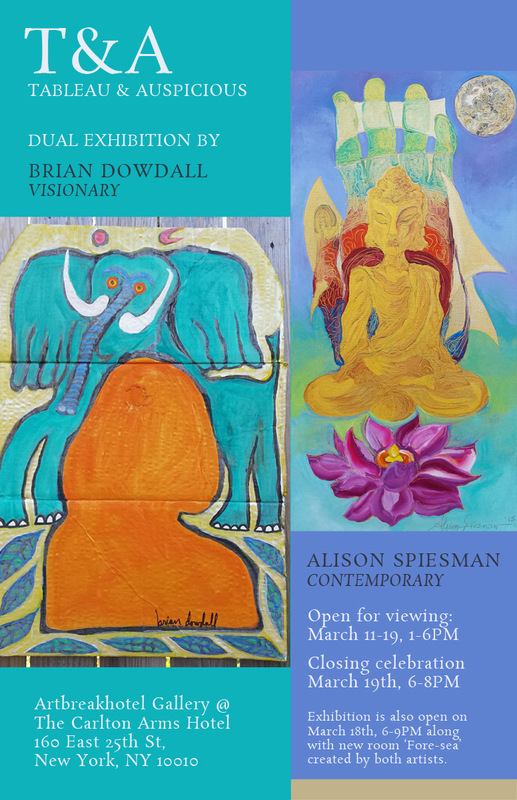 Artbreakhotel Gallery at The Carlton Arms Hotel presents dual exhibition T&A Tableau And Auspicious by Brian Dowdall VISIONARY and Alison Spiesman CONTEMPORARY. March 11-19, 2016. 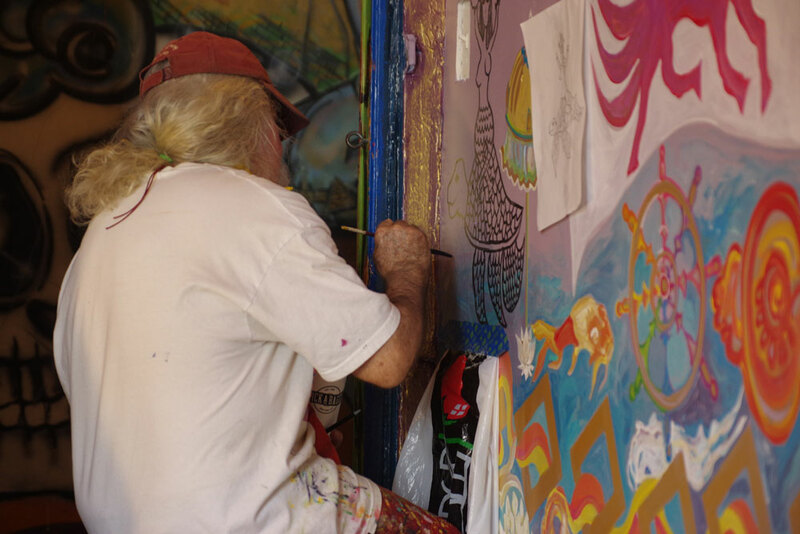 MEET AND GREET with visionary artist Brian Dowdall and Alison Spiesman working on a new room at the Carlton Arms Hotel. Friday, January 29 2016 Noon-4PM.